HowMechanismWorks ? : What Is Automation Engineering ? Why We Need It For Industries ? What Is Automation Engineering ? Why We Need It For Industries ? The field of automation involves the creation and application of technology to monitor or control the production and delivery of products.Two professional associations, the International Society of Automation and the Automation Federation, are involved in promoting and supporting the field of automation. 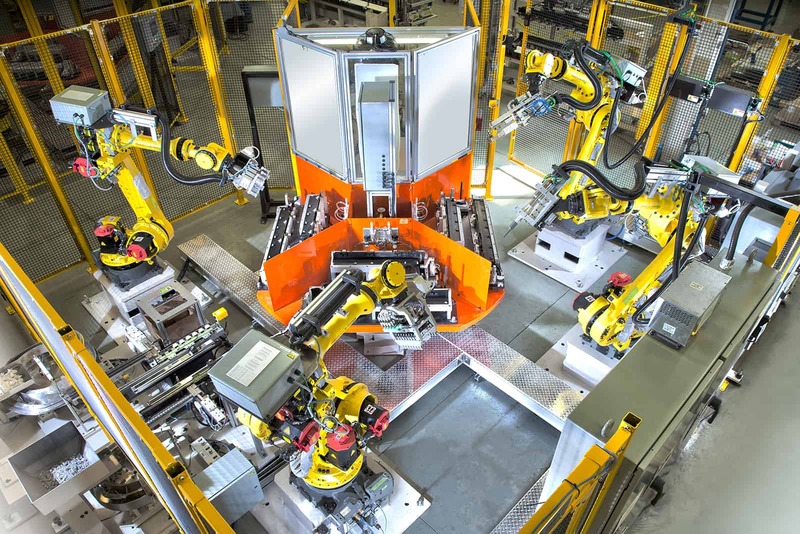 Automation engineers design, program, simulate and test automated machinery and processes in order to complete exact tasks. typically these system is used for the application of integrated mechanical, electronic and computer based systems in the operation and control Of production systems. Most automation engineers start out with a bachelor’s degree in either electrical or mechanical engineering, which may include courses in relevant subjects such as robotics, fluid dynamics, statistics, and databases. Some automation engineers continue to earn master’s degrees before entering the job market. The bulk of relevant automation engineering training is then gained through hands-on career experience. The duties of an automation engineer include designing, programming, simulating, and testing automated machinery or processes that are intended to complete precise tasks — for example, robots used in packaging, food processing, or vehicle manufacturing. Automation engineers work with automated machinery from concept to prototype, and are responsible for providing detailed documentation including design specifications that enable the production or application of their products. (x) Computer aided production planning and control. The automation of manufacturing operations usually increases production rate. This means greater output per hour of labour input. Thus, automation leads to increase in labour productivity. The automation reduces the labour cost and increases the rate of production, thereby reducing the cost of production. The automation not only results in higher production rates than manual operations but also improves the product quality. 4. To mitigate the effects of labour shortages. In developed countries, where there is shortage of labour, automated operations are used as a substitute for labour. The automation reduces the time required for manufacturing the product. The automation exhibits overall benefits like: improved product quality, high better customer rate of production, higher salaries, better labour relations, satisfaction. and better company image. The companies without automation are likely to find themselves in Disadvantageous position as compared to the companies with automation. Automation provides better control over entire manufacturing activity of a company. The automation can completely replace the worker, especially in hazardous operations like:spray painting welding. chemical processing. etc, thereby improving the worker safety. The automation has changed the role of worker from active participation to a supervision. Automation reduces/eliminates routine manual and clerical tasks which are boring. fatiguing, and irksome, thereby improving the general level of working conditions.